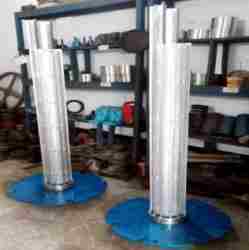 Leading Manufacturer of radiant tubes, hearth rolls, sink rolls and hrcs immersion tube castings / dip tube castings for cyclone from Vadodara. We are manufacturer of Radiant Tubes for Heat Industry. 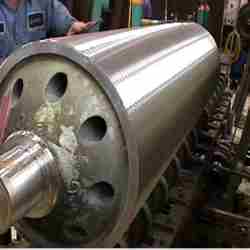 We are offering quality range of Furnace Rolls for Steel Industry. Large diameter, heavy-walled centrifugals, such as this, are no problem for BMC. They can be produced in a variety of alloys, however they are most typically produced in ASTM A351 Grade CF-3(304L) or Grade CF-3M (316L). This roll may be sent on to our fabrication department for assembly into a finished machined sink roll for a galvanizing line, or could be sent to the customer in a rough machined or as-cast condition for finishing by others. zinc, galvalume, galvanneal, lead and aluminum. 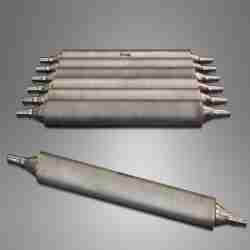 They can work under high temperatures and are resistant to corrosion. They are made according to international standards. We have been manufacture immersion tube castings for cyclones and dip tube casting for all stages of cyclone in segmental pattern in designs of l&t- flsmidth, krupp, wedag type ingrades HK40, is 4522 9, is 4522GR 7, H13, H11, is 4522 GR 11. 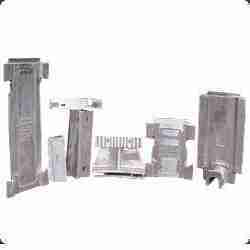 Looking for Steel Plants Mills ?